K.K Sharma IPS, is not willing to take the new assignment as DG National Academy of Coastal Policing, Ministry of Home Affairs, Government of India. K.K Sharma IPS officer Rajasthan 1982 batch, who is presently posted as DG BSF, Ministry of Home Affairs, Government of India. 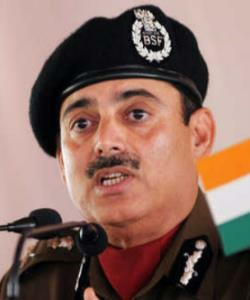 Recently there were Rumors that he may be appointed as DG, National Academy of Coastal Policing, Ministry of Home Affairs, Government of India, However, Sources said that Sharma is not willing to take the new assignment as DG National Academy of Coastal Policing, Ministry of Home Affairs, Government of India.